Have you ever given your child a liquid medication? If so, there is a pretty good chance that you may have given your child the wrong dose. This topic was the subject of a recently published article in the American Academy of Pediatrics. The study found that approximately 40% of parents made an error in giving liquid medicine! There are a myriad of different dosing units used for liquid medicine in the U.S.: milliliter, teaspoon, cubic centimeter, and tablespoon. That is one problem, and a solution is to standardize ALL liquid dosing to milliliters (abbreviated ‘mL’). 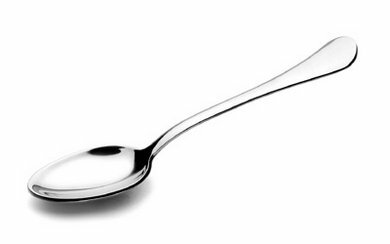 The word ‘spoon’ in the name leads many parents to use a kitchen spoon. Kitchen spoons are made for style/appearance or for the ergonomics of eating—NOT for the important job of precisely measuring out chemicals known as medicine. Another study in a pharmaceutical journal showed that an average household ‘teaspoon’ contains anywhere from 1.5mL-9mL. As a pharmacist, I have always lamented the use of kitchen spoons to give medicine; and as the Director of the IPC, I see firsthand how confusing it can be for parents to correctly dose their child’s medicine. Here are some examples of dosing confusion—it can happen to anyone! A child was prescribed a heart medication for her baby. The instructions on the pharmacy label were “give 2cc twice daily”. The parent was not sure what a ‘cc’ was, and she gave the child 2 teaspoons twice daily. It was not until she ran out of a month’s worth of medication in a week that she realized the mistake. A ‘cc’, or cubic centimeter, is the same amount as a milliliter. By giving 2 teaspoons instead of 2 milliliters, the child was getting five times the correct dose. A mother was giving her child some over-the-counter pain reliever using the dosing cup that came with the medicine. The cup had ‘teaspoon’ measure on one side, and ‘milliliter’ measure on the other side. Mom got confused and filled up the teaspoon side, thinking it was milliliters, and the child got too much medicine. (If liquid medicine dosing was standardized to milliliters, there would not need to be two units of measure on the same cup!). A child was prescribed a stomach medicine, with directions to give 2.5mL per day. The mom left a note for the babysitter, and mistakenly wrote “2.5tbs” as the dose, and the babysitter gave 2.5 tablespoons. (Again, if medicine was always given in mL, this overdose could have been avoided). A parent called the IPC because he thought his elementary school-aged child was having significant side effects from cough medicine that he had been giving him (drowsiness, slurred speech, and confusion). Upon questioning, it was discovered that the dosing instructions were to give a teaspoon at a time, but the parent had been using a large soup spoon out of the kitchen drawer to dose the medicine. The child had been getting 3-4 times the actual dose of a 5mL teaspoon. I am all for the standardization of liquid medicine dosing, and I hope that it happens sooner rather than later. Meanwhile, the conversions below may help. And never use a kitchen spoon to measure out medication for any child or adult. Use a dosing cup or syringe and always ask your pharmacist—or call the IPC helpline at 1-800-222-1222—if you have a question on how to measure medication. Thank you TREMENDOUSLY for the information you posted about ‘Using Kitchen Spoons’ and ‘Improper Dosing’ when dispensing medicine!!! I can’t thank you enough for this because it can be totally confusing to give the proper dosage when all you’re trying to do is help your child get better! Instead a much bigger problem is created! Thank you again! I am now forearmed with the correct information needed to better care for my loved ones and was moved to post this blog on my Facebook page for others to benefit from as well! I live in a senior citizen building and am planing a 1 hour inservice for the residents. Thank you for the article as I will use the information as part of my presentation. Thanks for offering good information.